the placard design. 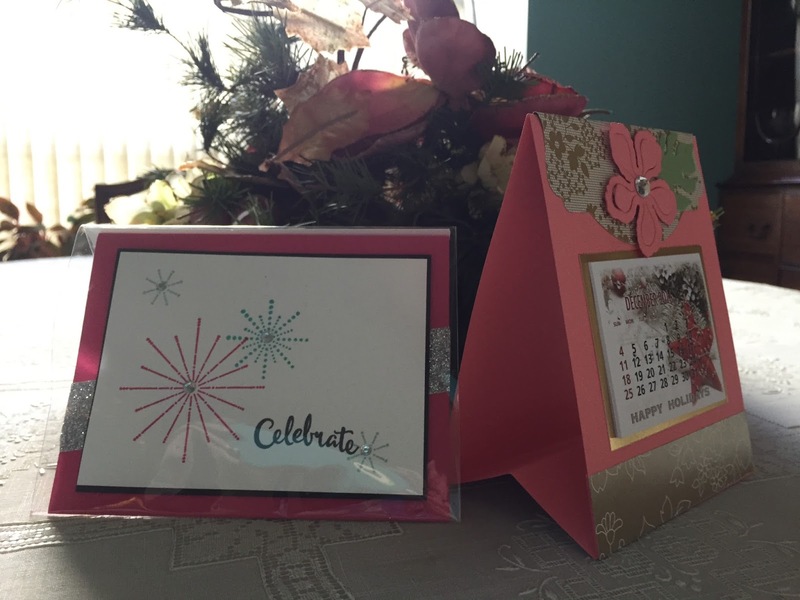 You could add a sentiment to the back of the calendar .It closes easily to put in an envelope to mail. The design is easy. You start with a 41/4 X 11" card folded at 5 1/2 " Then you take a second piece of card stock cut 41/4 X 5 " Score at 1", 21/2", and 4". Fold and glue the one inch sides to the inside of the main card. Decorate as you like. Happy New Year !